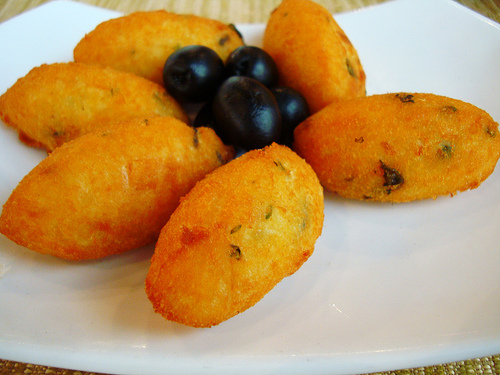 Time for some good, old-fashioned Portuguese cooking. 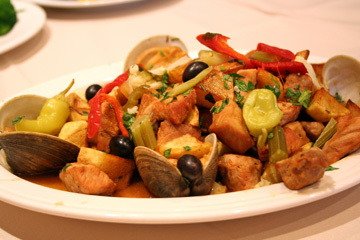 I love food, especially Portuguese food. Since my husband is vegetarian, I don’t cook it as much as I’d like, basically because most of Portuguese cooking involves meat or fish. But, that is about to change! I’m going to start with dessert, which is always the best place to start! I’m going to attempt making Pasteis de Nata, which is a traditional Portuguese dessert. These are delicious, soft puff pastry cups filled with custard. The recipe is three pages long so let’s hope that they turn out as yummy as the ones we buy at the Portuguese bakery. I will showcase these pastries at Lilliana’s International Festival next week, along with some Pasteis de Bacalhau. My father has a reputation for making the best, Rissois de Camaron, which are Shrimp Turnovers. I’m going to “steal” the secret recipe from him and attempt to make those soon too. 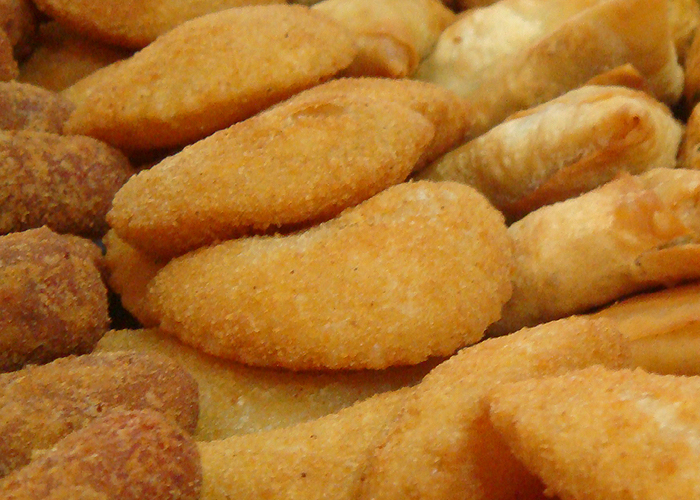 These are really, really, the best Rissois ever. Ask any of my friends or family. I just hope I can make them as good as he does, or at least up to par. Lastly, I’m going to learn to make the all-time classic, Carne de Porco a Alentejana (Pork with Clams and Potatoes)… Let’s get cooking! 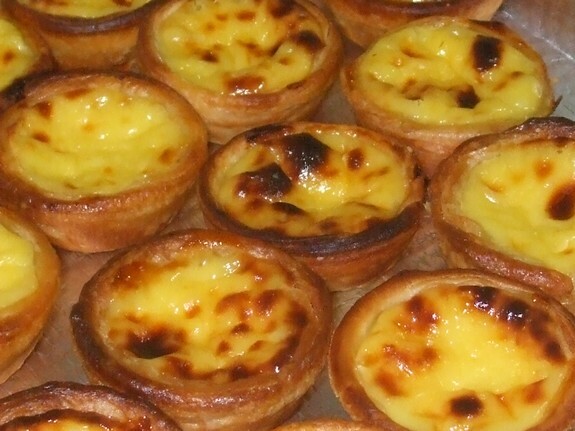 I want to eat and learn how to make those Pasteis de Nata. Yum! Can you make some shrimp-free risoyshz for me? Pasteis de Nata are Pedro’s favorite, we need to have a cooking lesson soon. Horray for the Pork Chops!!! I was waiting for you to add some good portuguese recipes to represent our beautiful culture! By the way, did Mike really spell Rissois like this… “risoyshz”… I can’t stop laughing…that boy needs some lessons!